John Sexton's wonderful homage to trees. 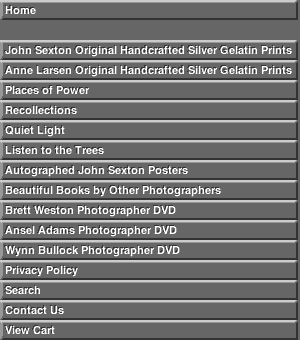 Listen to the Trees is a stunning collection of 51 images of trees from a twenty year photographic love affair with forests. This award-winning volume is beautifully designed and has reproductions of exceptional quality. Listen to the Trees is now out of print, and is hard to find. We are pleased to offer autographed copies collectible book to our customers.